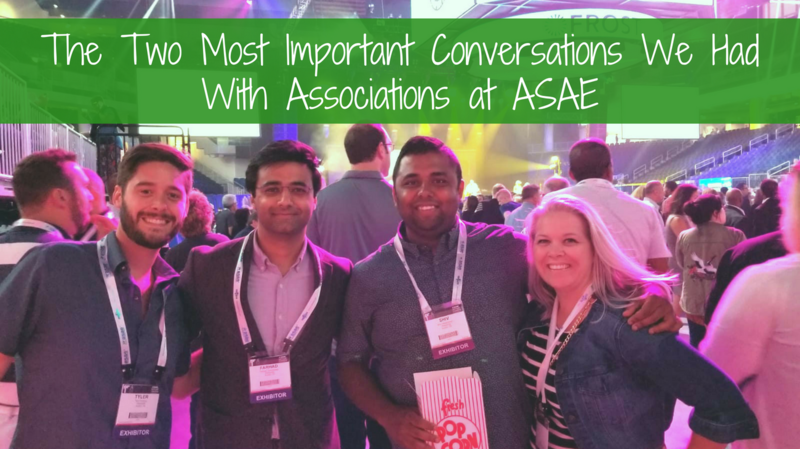 We may have only just unpacked our suitcases from our trip to the ASAE Annual Meeting, but we couldn’t wait to share the two most important conversations we had with many of the associations we chatted to. We spoke with people working with a huge variety of associations of different sizes and with different missions, but we found that many of them shared similar challenges. Read on to see whether your association can relate, and where to find out more about how we can help. What is the ASAE Annual Meeting? You might be familiar with ASAE — the American Society of Association Executives — but in case you’re not, here’s a quick introduction. As a centre for association leadership, ASAE offers resources and learning opportunities. They have a network of over 42,000 members, and their annual meeting is an opportunity for these organizations and individuals to connect, learn new skills, and gather inspiration for the year ahead. There are keynote speakers, deep-dive sessions, award ceremonies, and of course, plenty of time for mingling with your fellow association leaders. 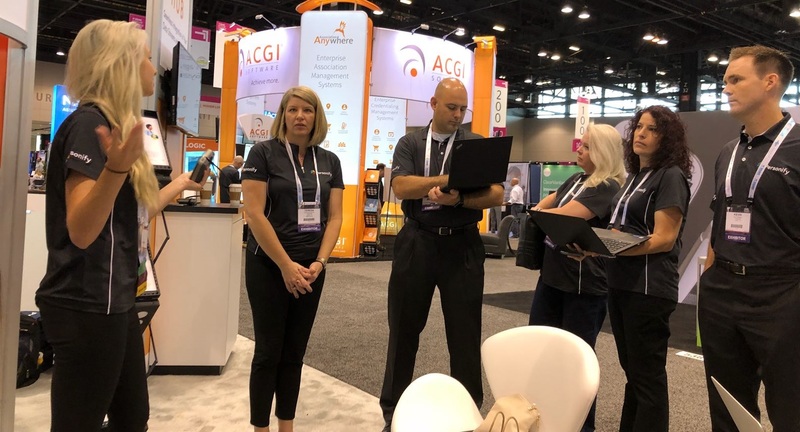 This year, Wild Apricot went along to the annual meeting in Chicago from August 18-21 as part of the Personify family, along with Personify360 and Personify Community — and we had a blast! More than 6,000 association professionals and industry partners gathered at this year’s event to learn how they could be helping their association grow. The number and variety of tasks involved in running an association can make it a struggle to get everything done on time, particularly with a small team or limited resources. Being a local chapter of an association with a larger parent organization can make it difficult to find systems that work for both, since they have such different needs. 1. How Can I Make My Workload More Manageable? The first thing you notice about the ASAE annual meeting is that it’s simply huge! This year, there were talks, sessions and stands about everything from volunteers to funding, technology to teamwork. Seeing all the elements involved in running a successful association represented in one place really highlighted the range of activities and responsibilities that association leaders take on — it’s no wonder it can feel overwhelming. With all these tasks and even more already on your to-do list, it can feel like you simply don’t have time to start using new software. However, using an all-in-one association management solution can save you up to 20 hours each week by automating many of your administrative tasks. You can try Wild Apricot out for yourself with a free 30-day trial - click here to get started. If you’d like to read up some more before you start your trial, this article shows a few of the ways you could be saving time with Wild Apricot. For more ideas on software tools that could help lighten your workload, check out our post on 49 Popular Nonprofit Software Tools That Save Time and Money. 2. How Can I Manage Both our Local Chapters and Parent Organization? Many of the associations that stopped by to speak to us were multi-chapter organizations. They explained that while being part of a larger network brings some great opportunities, it also presents a particular set of challenges when it comes to membership management. Parent organizations require a system that can handle complex data on large numbers of members. Local chapters, on the other hand, require a system that is straightforward to use and does a lot of the legwork for a small team. On top of this, it helps if these systems are compatible, as this opens up opportunities for sharing data between them. Wild Apricot provides everything you need to manage small to mid-sized organizations with 50 to 50,000 contacts, but did you know that the Personify family of products also includes Personify360, the leading constituent management and engagement platform for large organizations? 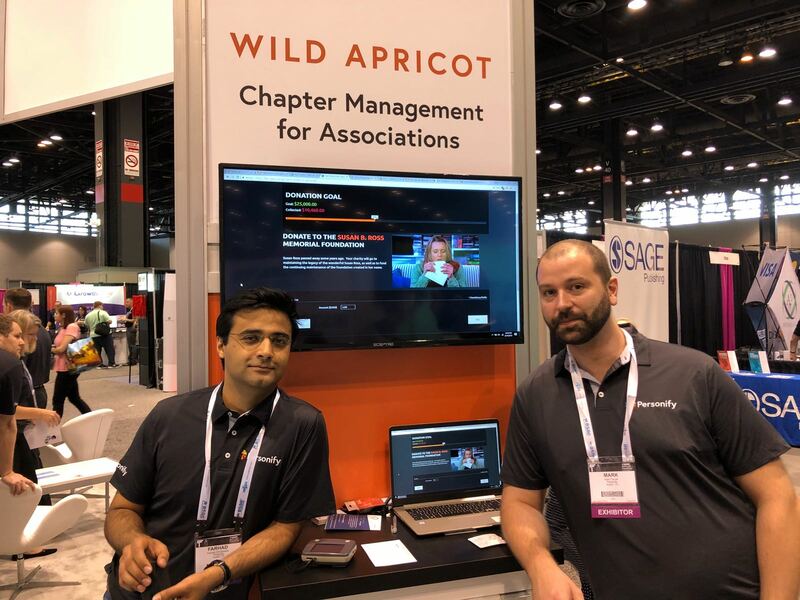 With Wild Apricot, your local chapters have an easy-to-use, quick-to-set-up system that manages common tasks like updating your member database, taking event registrations and listing products in your online store. With Personify360, your parent organization has access to an extensive analytics module that gives insights into constituent behavior across all channels. Together, these solutions provide a system that can suit multi-chapter associations of any size. You can find out more about Personify360 here. We’ve also conducted research into multi-chapter organizations — you can read our report here. Get in touch with our sales team if you would like to know more about our multi-chapter discounts. If you didn’t get a chance to meet with us at this year’s ASAE annual meeting, don’t worry: we’ll be back next year. The 2019 ASAE annual meeting will take place on August 10-13 in Columbus, Ohio. In the meantime, we’re going to be in Washington DC on September 18 2018 with Personify Connections — you can find more information here. Personify Connections will also be coming to Chicago this year on October 23, so keep an eye on our social media and website for more details closer to the date. We hope to see you there!